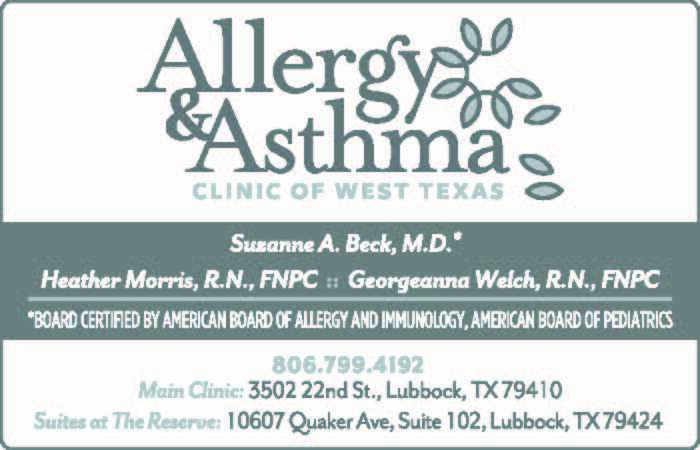 The Allergy and Asthma Clinic of West Texas has provided care for patients over the past 17 years. Our practice is committed to serving children and adults with allergy,asthma and immunodeficiency. Our providers, Dr. Suzanne A. Beck, Dr. James J. Herman, Heather Morris and Georgeanna Welch and staff are dedicated to providing compassionate, comprehensive and quality care. Our practice is an instrument of healing physically, spiritually and emotionally in the lives of all our patients.